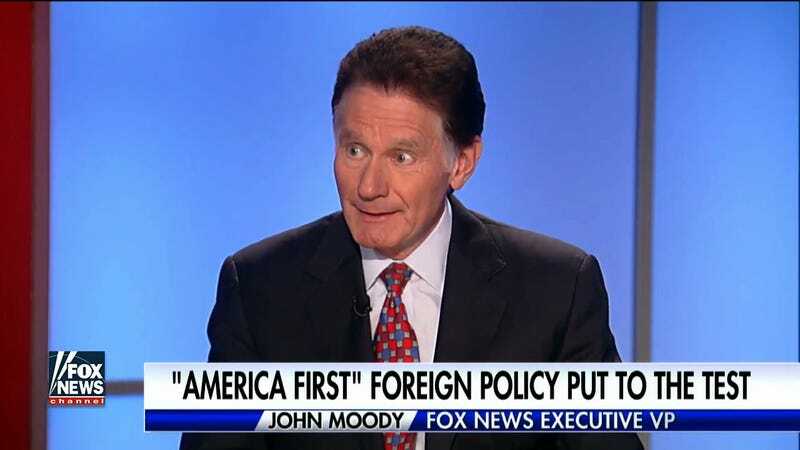 Fox News executive vice president John Moody—who complained about a “darker, gayer, different” U.S. Olympic team in a disastrous column last month—has retired from the network, as first reported by CNN. Insisting that sports bow to political correctness by assigning teams quotas for race, religion or sexuality is like saying that professional basketball goals will be worth four points if achieved by a minority in that sport – white guys, for instance – instead of the two or three points awarded to black players, who make up 81 percent of the NBA. Any plans to fix that disparity? Didn’t think so. A real loss for the network, with logic like that.